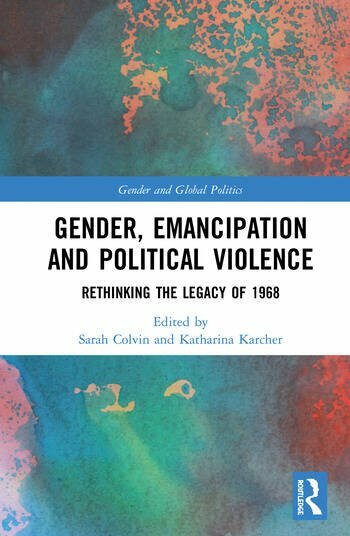 This volume presents and interrogates both theoretical and artistic expressions of the revolutionary, militant spirit associated with "1968" and the aftermath, in the specific context of gender. The contributors explore political-philosophical discussions of the legitimacy of violence, the gender of aggression and peaceability, and the contradictions of counter violence; but also women’s artistic and creative interventions, which have rarely been considered. Together the chapters provide and provoke a wide-ranging rethink of how we read not only "1968" but more generally the relationship between gender, political violence, art and emancipation. Sarah Colvin is the Schröder Professor of German at the University of Cambridge. Her recent publications include Ulrike Meinhof and West German Terrorism (2009), Women and Death: Warlike Women in the German Literary and Cultural Imagination (co-editor, 2009) and The Routledge Handbook of German Politics and Culture (editor; Routledge 2015). Katharina Karcher is Lecturer in German Cultural Studies at the University of Bristol. Her research interests include feminist theory, European women’s movements, and the history of political protest, extremism and violence in the Federal Republic of Germany. She is the author of ‘Sisters in Arms?’ – Militant Feminisms in the Federal Republic of Germany since 1968 (2017).